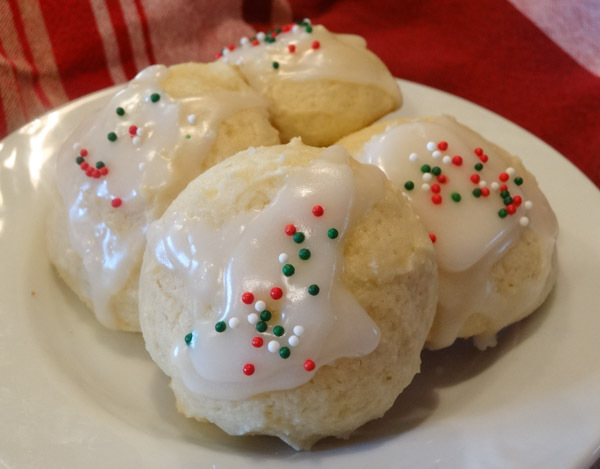 Italian Ricotta Cookies are soft, cake-like cookies topped with an almond glaze and sprinkles. These cookies make a great addition to your holiday platter. It’s the first day of December and I honestly have to say this is my favorite time of year. I love listening to the holiday songs, decorating, watching Hallmark movies, and baking. My first cookie recipe to start off the holidays is similar in taste to a butter cookie and isn’t that sweet in taste. The addition of ricotta keeps the cookie super soft. The almond glaze gives this simple cookie a little extra sweetness. 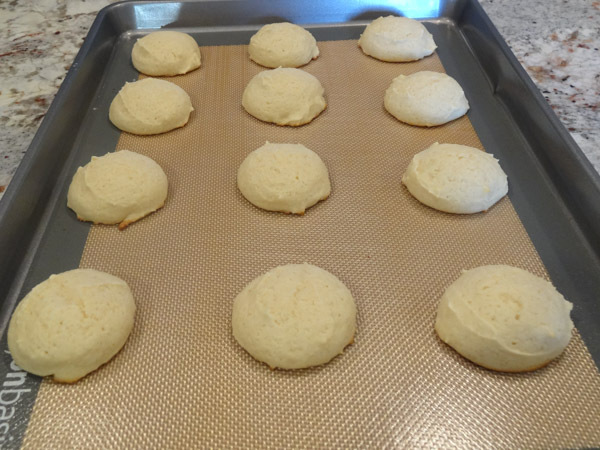 My inspiration for this recipe comes from Giada de Laurentis’s recipe for lemon ricotta cookies sans the lemon. I had tried a couple other recipes that used more flour. Although they still tasted good, those cookies came out on the lumpier side like a biscuit. 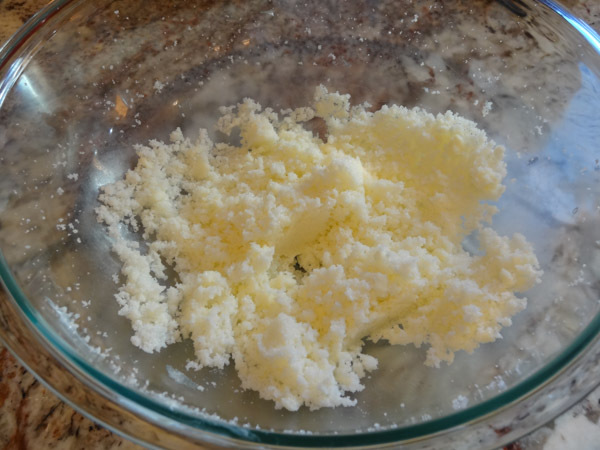 In a large bowl, combine the butter and sugar together with an electric mixer on medium speed for 2 to 3 minutes. Add in eggs, ricotta cheese, and vanilla extract. Blend until combined. In separate bowl, combine the flour, baking powder, and salt together. Slowly add dry ingredients to wet ingredients, blending on low speed until all ingredients are combined. Batter will be very sticky. 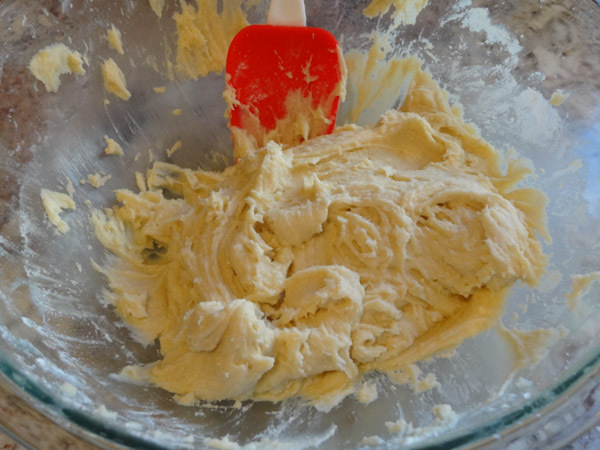 Use small or medium sized cookie scoop and drop rounded tablespoon of cookie dough onto parchment or silicone lined baking sheet. 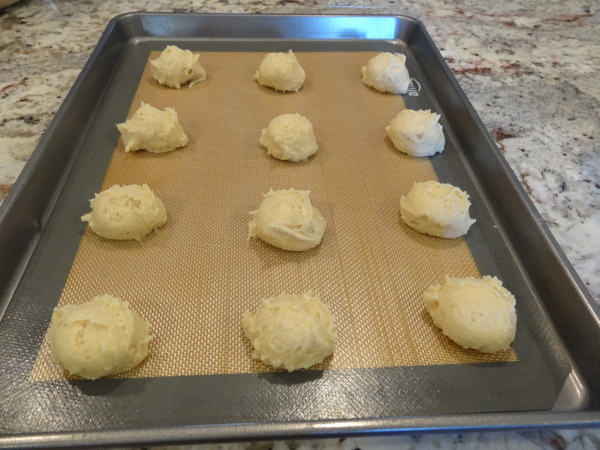 Bake at 350 degrees for 10 to 12 minutes, or until edges of cookie are light golden brown. Remove pan to wire rack and let cookies cool in pan for 1 to 2 minutes. Remove to wire rack to finish cooling. While cookies are cooling, proceed to making the glaze. In small saucepan, combine powdered sugar, milk, and almond extract together. Stir over low heat until smooth, liquid consistency is reached. Use spoon to drizzle glaze over cooled cookies. 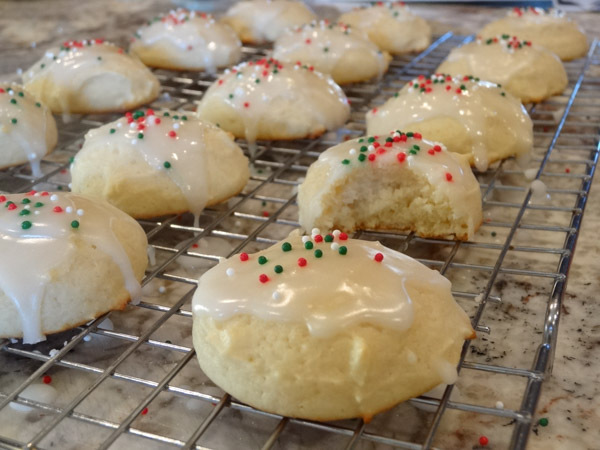 (If cookies aren’t cooled enough, glaze will absorb into cookie) Tip: I would recommend placing cooled cookies back on baking sheet or place parchment paper underneath wire rack to catch excess glaze and sprinkles. I liked adding the sprinkles to the cookie to give a festive look. 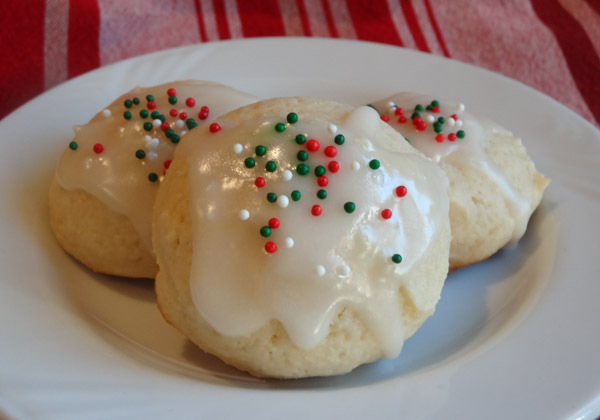 I would recommend adding glaze to a few cookies at a time and then adding sprinkles before the glaze sets; otherwise, they’ll just bounce right off. 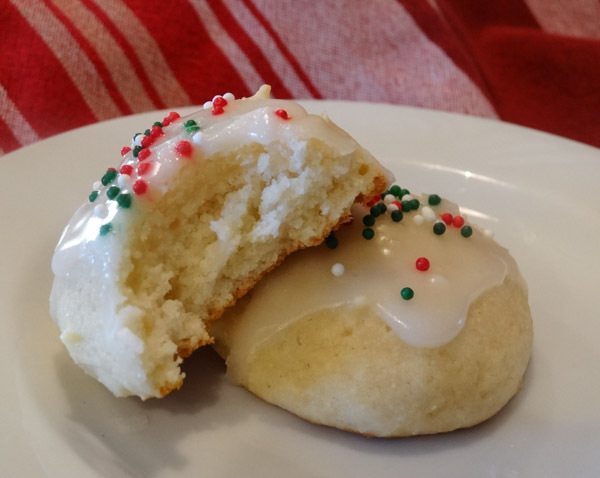 Italian Ricotta Cookies are soft, cake-like cookies topped with an almond glaze and sprinkles. Preheat oven to 350 degrees F. Line baking sheet with parchment paper or silicone mat. 2. 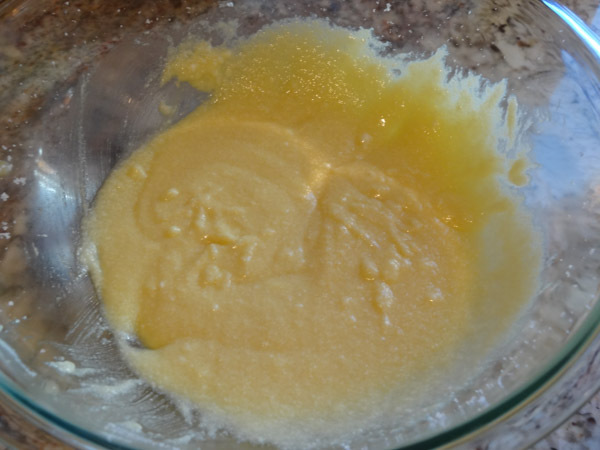 In large bowl, combine butter and sugar together with an electric mixer on medium speed for at least 2 minutes. 3. Add in eggs, ricotta cheese, and vanilla extract. Blend ingredients together until well combined. 5. Use small or medium sized cookie scoop to drop rounded tablespoon of cookie dough onto prepared baking sheet. 6. Bake for 10 – 12 minutes or until edges of cookie are light, golden brown. 7. Remove pan to wire rack and allow cookies to cool on pan for 1 to 2 minutes. Remove cookies to wire rack to finish cooling. In small saucepan, add in powdered sugar, milk, and almond extract. Stir over low heat until smooth liquid forms. 2. Spoon glaze over cooled cookies. Add sprinkles if desired before glaze sets.